Hiding a personal data is much about encryption and password protection. 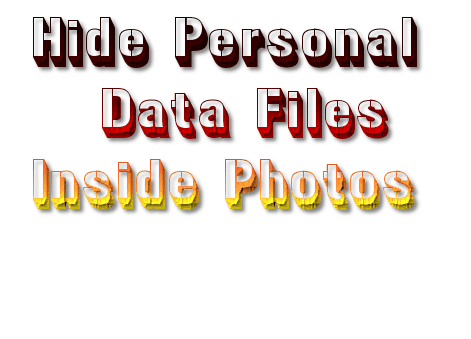 It’s very easy to take all your personal data and hide them in photos or other words you will learn how to hide personal data files inside photos. If someone go through the files on your computer then he or she will only see regular photos. But you know that inside those photos actually your personal data. Hiding files or hiding data inside photos, songs is called Steganography. In this case there is tool called S-Tools which is free to download. Firstly you have to decide the file which you want to hide inside photo. 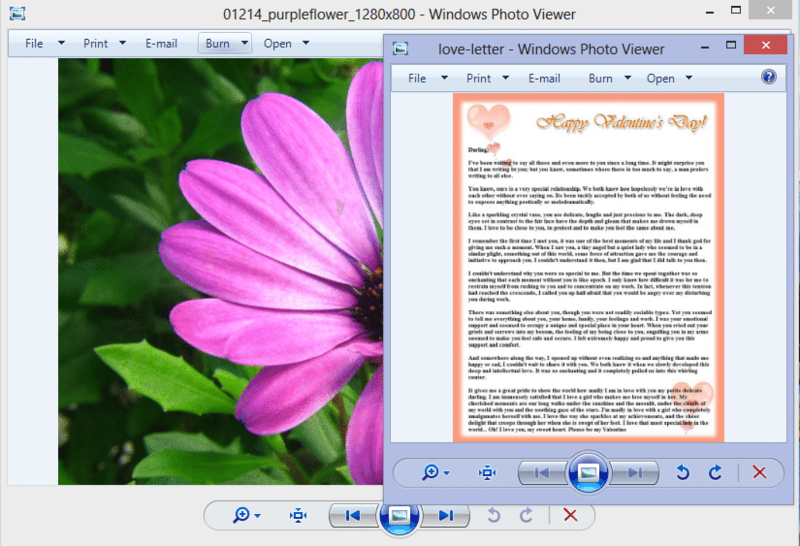 In the following example, I am going to hide a photo file containing a love letter inside the photo of a purple flower. Start the S-Tools software on computer and drag the photo on the S-Tools. After adding, the photo will appear inside the S-Tools. In the bottom of S-Tools you will see how much data you can hide inside the photo. In this case, the selected photo can hold up to 383,984 bytes. 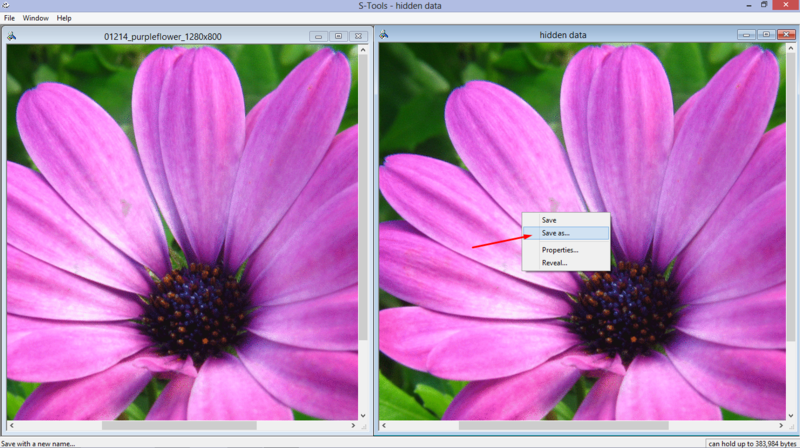 Drag and Drop the file you wish to hide on the photo inside the S-Tools software. After adding the file, you will be asked to chose a password to protect your data. Enter any password of your choice and click OK.
Now S-Tools will create an copy of the photo and will display it on the screen. Now look at two photos, your eye will not able to differentiate between them. Right click on the photo which contain your personal data or file and save it on your computer. If someone access your computer and open the above photo, it will look normal and will not show any signs of hidden data. 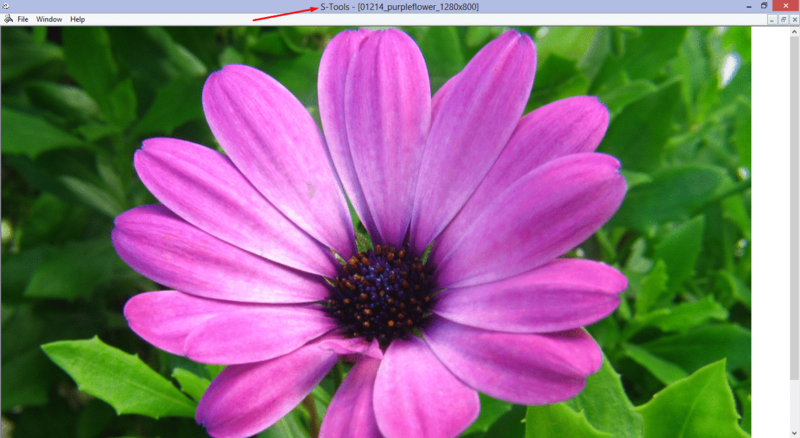 It’s important to note that size of the photo my change, depending on the size of the file you hide. But there is no way for someone to know the original size of photo. Start the S-Tools software and drag the photo which contain personal hidden data. Right Click on the photo and select the Reveal option. Enter the same password that you entered while adding personal data and click OK button. 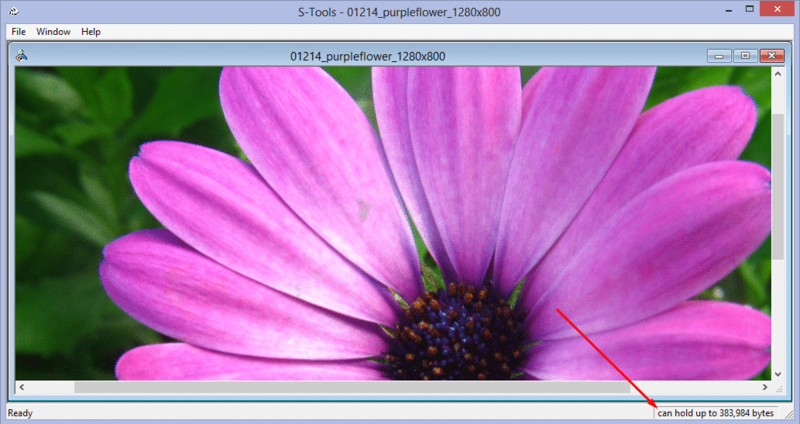 Now S-Tools will retrieve the personal hidden data from inside the photo. Right click on the file and save it on your computer.